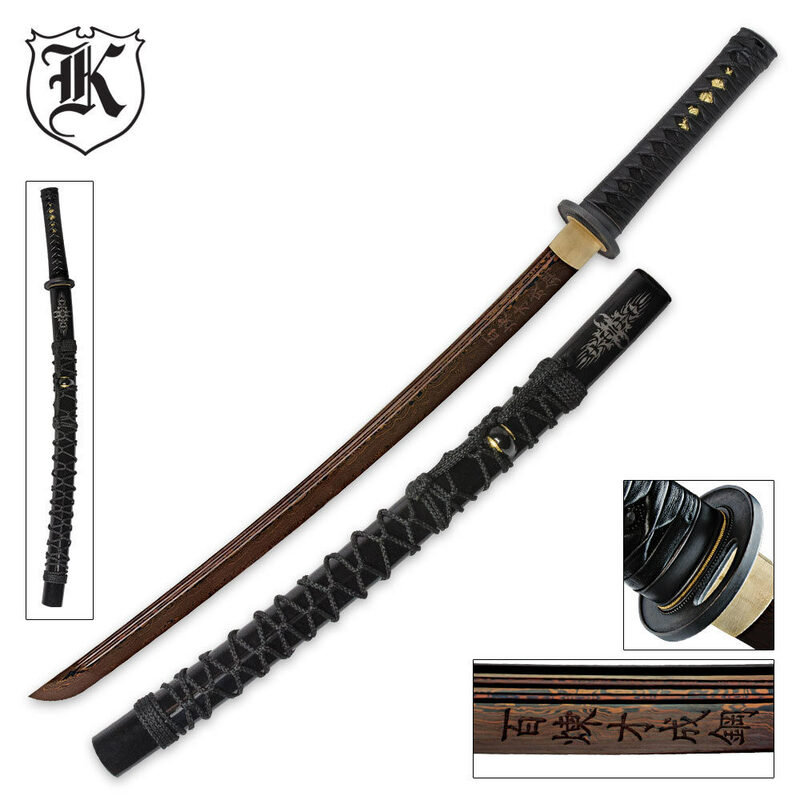 Dragon Stalker Wakizashi Sword Rich Black Damascus Steel Blade | BUDK.com - Knives & Swords At The Lowest Prices! You've never seen Damascus steel like our Rich Black Damascus before! 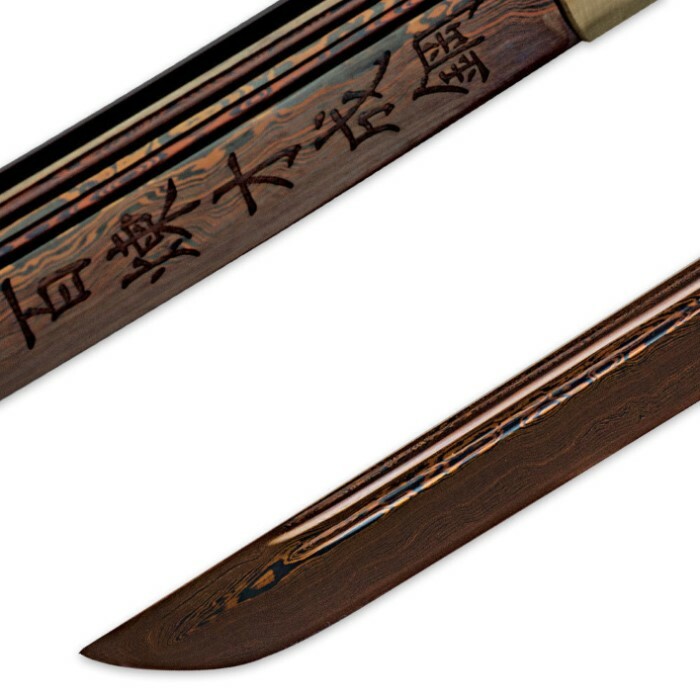 Our exclusive Dragon Stalker wakizashi features a powerful heat-forged 21-3/8" Rich Black Damascus steel blade with dual blood grooves and a hand-sharpened edge. The genuine ray skin and leather handle is accented by a cast zinc alloy tsuba and pommel with a gleaming brass habaki and menuki. The coordinating hardwood scabbard features a high-gloss finish with matching cord wrappings.